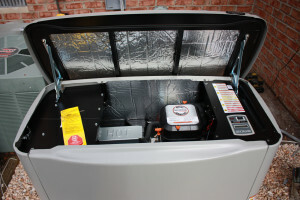 Permanently installed, these whole house generators start automatically, self-test themselves, and unlike portable generators, you don't have to go outside, run extension cords, or refuel them with messy gasoline – they run off your natural gas propane (LP) supply! 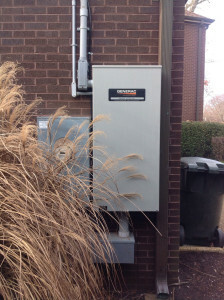 Call Paul Brinkley owner of Dynamo Electric to setup an appointment for a free evaluation of what a state of the art Generac Generator can do for your home. Dynamo Electric serves Yorktown, Williamsburg, Newport News, Poquoson, Toano, James City County, New Kent County. 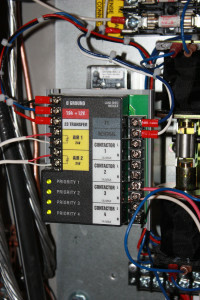 Dynamo is upgrading the outside power panel and the incoming panel. No more extension cords and going outside to start the portable generator. When a power lose is detected the generator automatically starts and goes to work. your power is restored within seconds. Generac Generator are engineered to switch from a drop in voltage to secure, and uninterrupted power for your home or business.